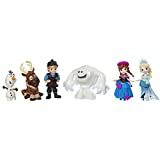 Just in time for the upcoming holiday season, Frozen 2 toys (and other merch) is set to be released at Frozen Fan Fest on October 4, 2019. Here’s everything we know! Insert all the ‘let it go’ jokes here! 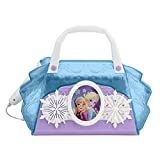 There probably isn’t anyone more excited than your kids about the new Frozen 2 movie coming out on November 22, 2019. It seems like a lifetime away, but is just around the corner so now’s the time to enjoy the regular rotation on your Spotify playlist before the newest songs from the upcoming movie takeover all of your lives. 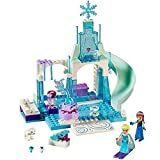 If you and your kiddos can’t wait for the movie all the way in November, you’re all in luck because for the first time Disney is throwing an international Frozen Fan Fest day on 10/4/19 where all major retailers will be releasing their latest and greatest Frozen 2-inspired toys, products and, well, general merch. Who’s ready!? 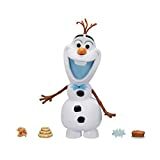 So what kind of toys are in store for Olaf, Elsa, Anna, Kristoff, Hans and the rest of the crew? Well, only time will tell. Be sure to bookmark this page because we’ll be updating it with all the latest as we get closer including release dates, toys you’ll be able to pre-order and more. 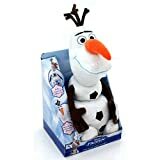 In the meantime, check out some of the other top selling Frozen toys below!